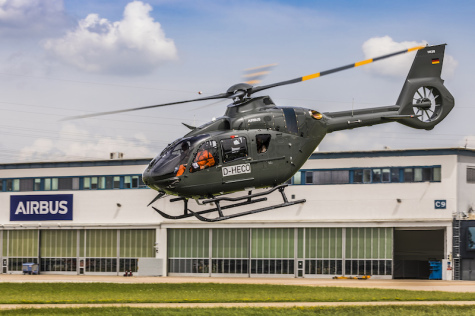 DONAUWÖRTH, Germany --- Airbus Helicopters has delivered the fifth and final H135 that will be used by the German Armed Forces in Bückeburg to train their pilots. 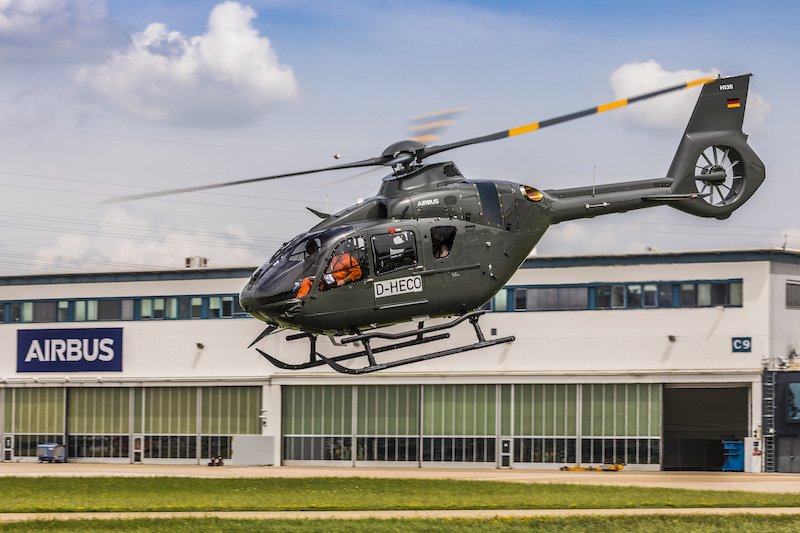 The German Federal Office for Bundeswehr Equipment, Information Technology and In-Service Support (BAAINBw) is leasing these helicopters – all delivered on time by Airbus – for initial and recurrent pilot training. These five H135s join 14 others from the H135 family, which have been in service for training at the Bundeswehr since 2000, where they have accumulated more than 100,000 flight hours. The lightweight twin-engine H135 is used by military forces worldwide to train their personnel. Among others, armed forces from Great Britain, Switzerland, Portugal and Australia put their trust in the H135 family for this mission. In total, more than 1,300 helicopters from the H135 family have been delivered to customers worldwide, clocking up more than 4.5 million flight hours. In addition to training, the H135 performs a wide range of missions including Emergency Medical Services (EMS), law enforcement, corporate transport and maintenance of offshore wind farms.